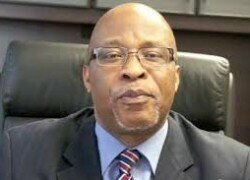 Dr Nevers Mumba should have taken the cue from President Edgar Lungu who willingly, although unhappily, chose not to fight for power even when Dr Guy Scott had no right to it. The Zambian people saw through the evil and machinations of those who usurped power and elected President Lungu to the Presidency. If Dr Mumba had shown humility, the people of Zambia would have been more understanding to his position. As it stands he has shown arrogance and a complete failure to reach out to those people who gave him the benefit of doubt. My advice to Dr Mumba is for him not to fight the new leadership but instead work with them and make the MMD even stronger because it is the only party that still has structures on the grassroots and will therefore provide the necessary checks and balances to the Government. The MMD must rise in the future and take over Government from PF because it is a national party. The people of Zambia want politics of quality, substance and integrity. The Zambian people want unity of purpose. They want the nation held together by realistic aspirations and ambitions. Those who fail the people must be prepared to rest and leave others to take over.